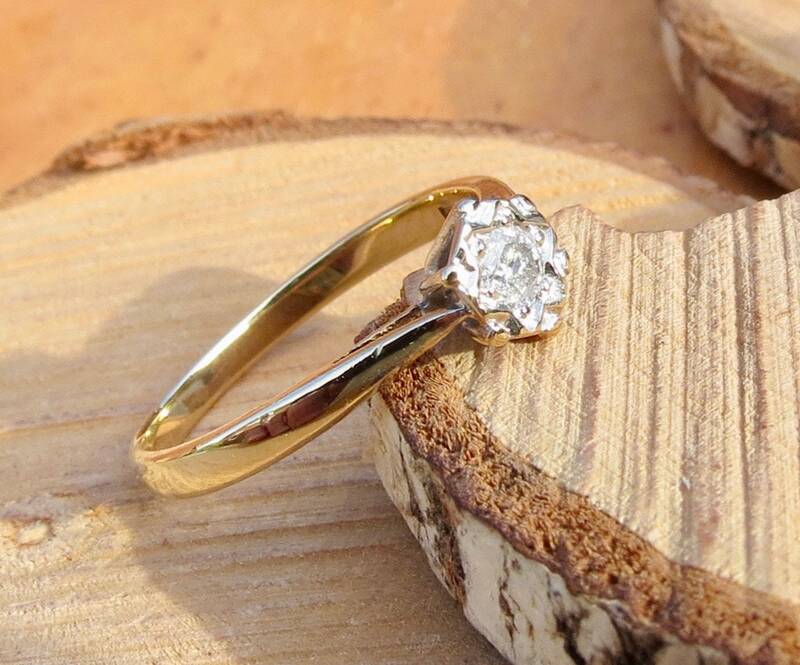 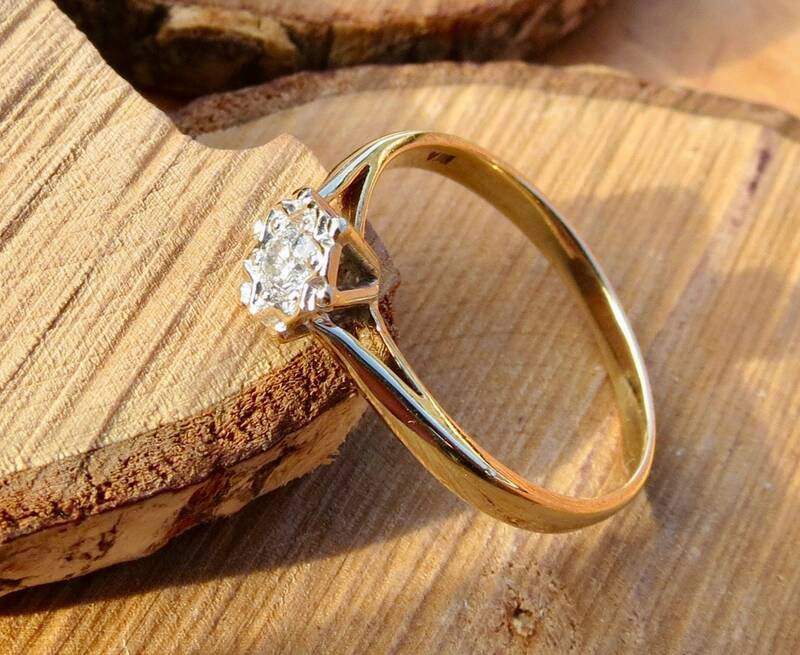 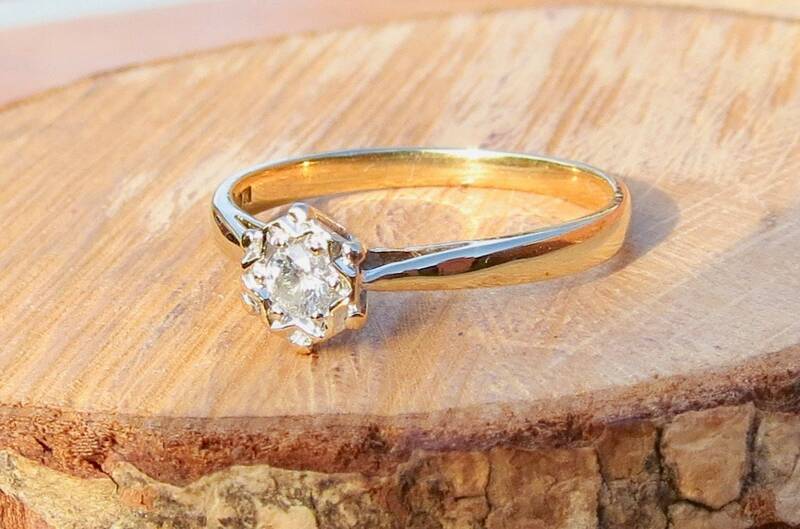 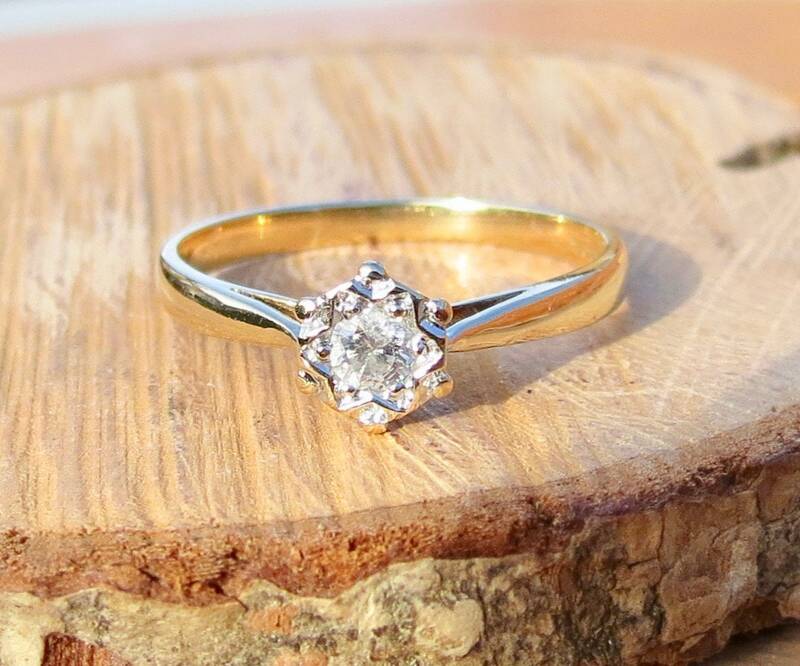 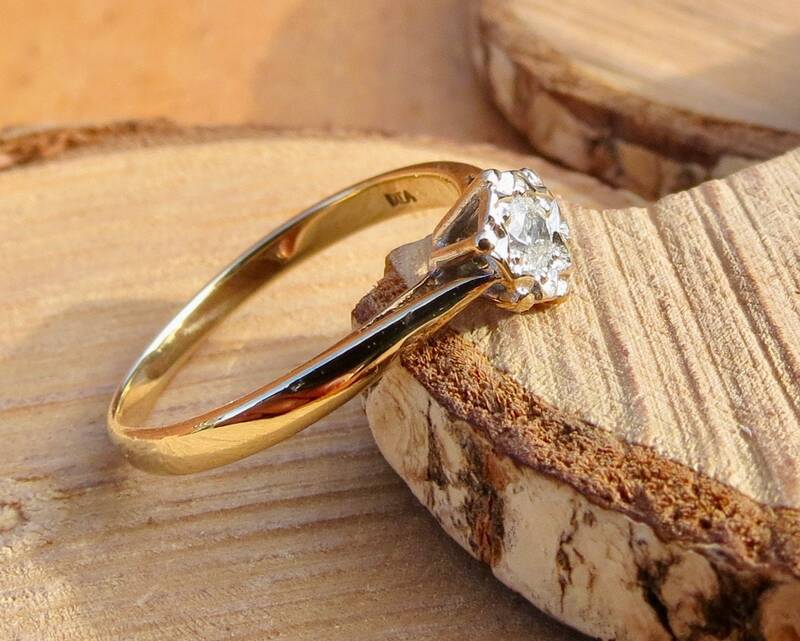 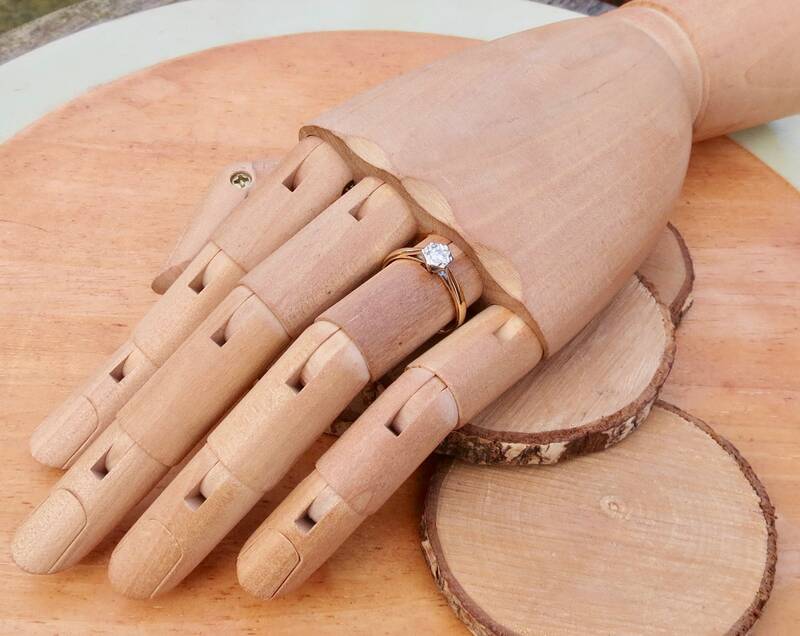 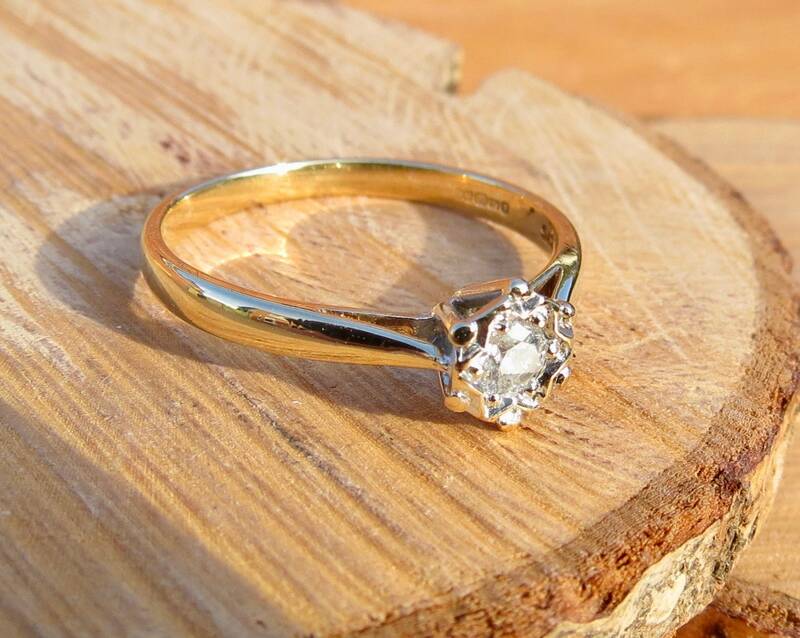 9K Yellow gold diamond solitaire ring. 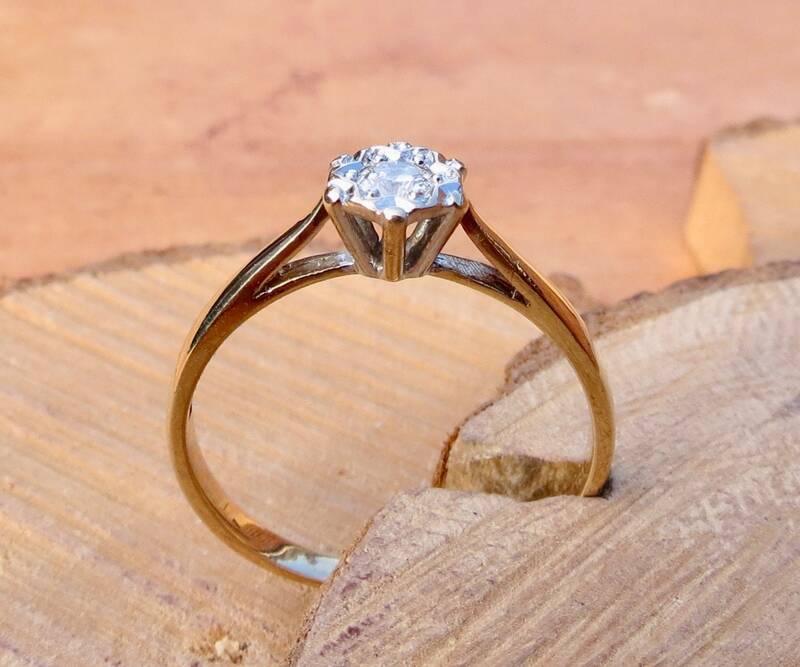 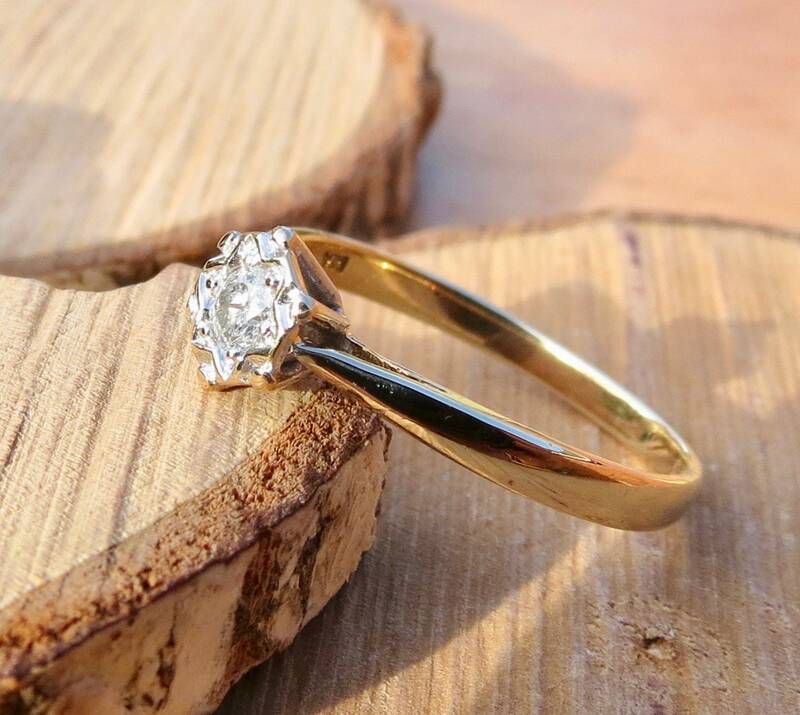 This 9k yellow gold ring has a 1/10 Carat brilliant cut solitaire diamond in a open crown setting. 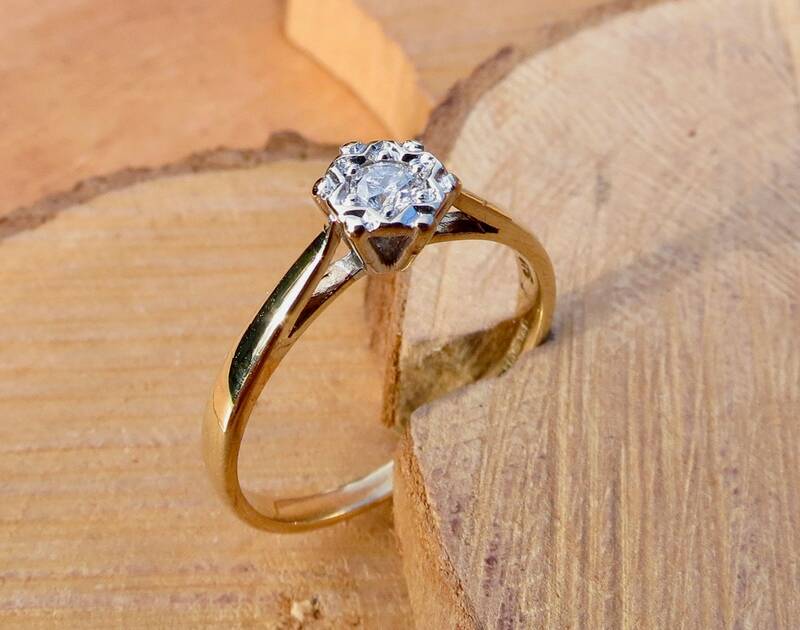 British hallmarks, BIA stamp no date letter.